Get in the water during winter thanks to the steamy, natural hot springs in Anaconda, Montana. Less than 2 hours from Missoula, Fairmont Hot Springs Resort has multiples pools and waterslides for both the thrill-seekers and the chill-seekers. The pools are open 24 hours, so you can take a midnight dip under the stars. Butte is a small town in Montana with a fascinating history and lots of interesting historical sights to see. There's a statue of Mary on the mountains that overlooks the city below, and tons of brightly colored homes. Butte has a lot of character to discover, and we loved it! Especially the weird facts like the former underground city (that still exists..). If you're wondering where to stay in Montana, you'll find a ton of quirky and adorable places to cuddle up in! We loved the charming Murray Hotel in Livingston, Montana which has an amazing view of the mountains from the rooftop. In Big Sky, Montana we enjoyed our little cabin in the woods at Lone Mountain Ranch (and the sleigh ride dinner...more on that here). Good coffee is a road trip essential, and it's a little bit harder to find in Montana than in the big cities. Have no fear, we found three great spots to share! 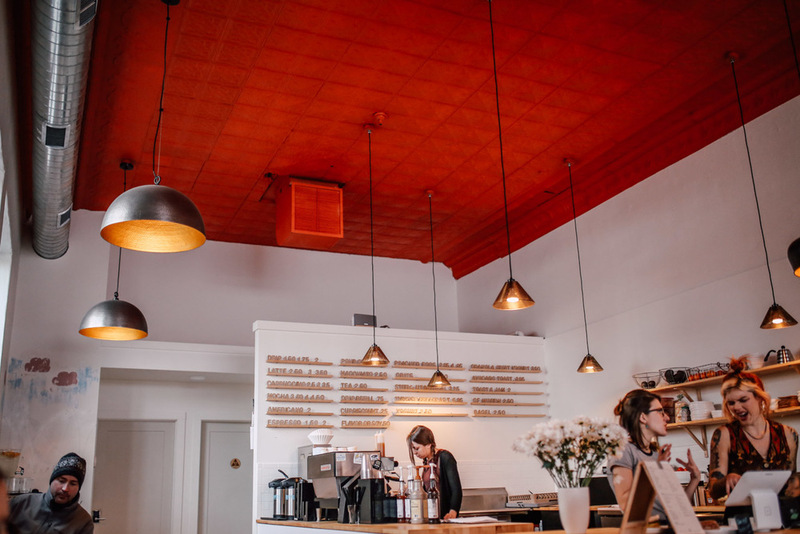 In Missoula, there's Zootown Brew with a rotating coffee bar and large open space, and Clyde Coffee which has a delicious breakfast and a gorgeous, bright space. For coffee in Livingston, Montana we love Livingston Bodega and Bakery. They roast their own beans and serve scrumptious baked goods fresh out of the oven! Last but not least, get outside! There's so much to explore in Montana, from dogsledding and bison ranges to the view at Devil's Overlook in Bighorn Canyon. Pack your snow boots and get ready for a ton of fun ahead!